A bright and modern art card for Father's Day or Mother's Day. For grandparents or step-parents - this Card can have multiple meanings that are special to you. 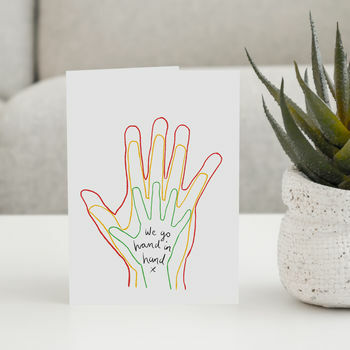 The card reads - " we go hand in hand" in so close studio's unique handwritten font.